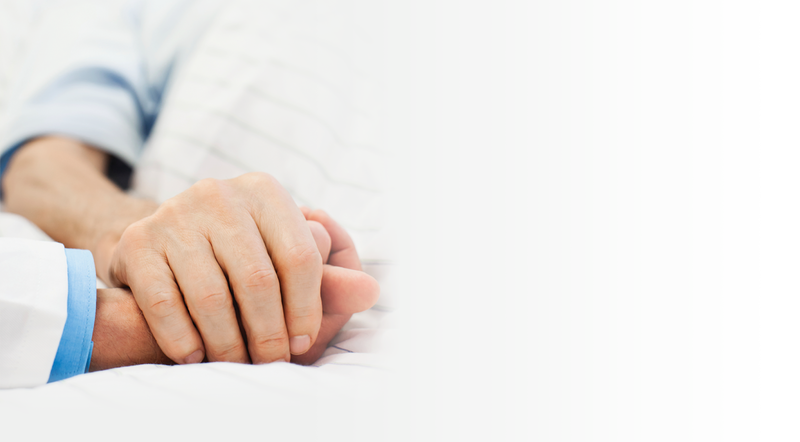 One of the most difficult challenges physicians encounter is assisting terminally ill patients who are nearing the ends of their lives. These patients and their families are faced with the decision of whether it’s time to discontinue life sustaining therapy as the treatment when it may no longer be beneficial or the patient doesn’t want to continue with the therapy. Just as it’s the physician’s role to make recommendations when beginning treatment, it’s the physician’s role to initiate this discussion of stopping treatment as well. These conversations, however, are difficult for physicians. While it’s easier to talk with patients who can make their own decisions, some are unable to, and it’s up to the families to decide when to stop treatment. Most families struggle with this decision primarily because of the guilt and grief they are experiencing. They might think that they aren’t doing enough or are concerned that the decision to cease all medical treatment is not right. Also, they may wonder if they are giving enough opportunity for a miracle to happen where the patient suddenly improves. These are the feelings that paralyze families from making the decision to stop treatment. Another issue that affects the continued use of life sustaining therapy is taking into consideration the resources used. For example, when a patient is on a ventilator and needs dialysis, the costs can be staggering especially for terminally ill patients, where no meaningful change in their condition is expected. This is a significant drain on both the medical system as well as healthcare and Medicare resources. Prolonging life is not always the answer, especially when weighed against the financial treatment burdens and impact on the patient’s quality of life. It’s a balancing act, talking with families about stopping life sustaining therapy. Physicians need to address the patients’ and families’ concerns without appearing that they are giving up or that they no longer care about the patient. The key is to start this dialogue early in the treatment process. One way to do this is to share information about treatment success and failure rates with patients and families so they will recognize and understand when a treatment is no longer effective. This discussion provides patients and families with some hope of success, but also recognition that if the therapy fails, they tried everything possible. Make sure patients and families understand that comfort care, including pain management and palliative treatment, will continue. Focus on the quality of the patient’s remaining days. Emphasize dignity, compassion and respect for life and death. Consider the family’s culture and religious backgrounds. There’s a wide range of views on suffering and death. Some cultures/relations may accept the end of life easier than others. Educate the family. Show them the data on treatment rates and the impact on medical resources. Above all, do not give false hope to patients and their families. It’s all too easy for patients and families to focus on death as a healthcare failure rather than an unavoidable and natural fact of life. By addressing feelings of guilt and concerns about discontinuing treatment and reassuring everyone that they are making the best choice, physicians can better support patients and families during these challenging times. to one word about euthanasia !